In honor of those graduating this year. For the longest time, people thought that the title of Sharon Cuneta’s classic is “High School Life,” but the actual title is only High School. It is better for Loisa as it brings her closer to her intended audience. The artists also mirror another trait, namely their age, with Sharon originally recording the song at 15, and Loisa now, at 17. It can be assumed that both were barely out of high school at that age, and it truly brings a deeper sense of intimacy and sincerity to the words in the song. 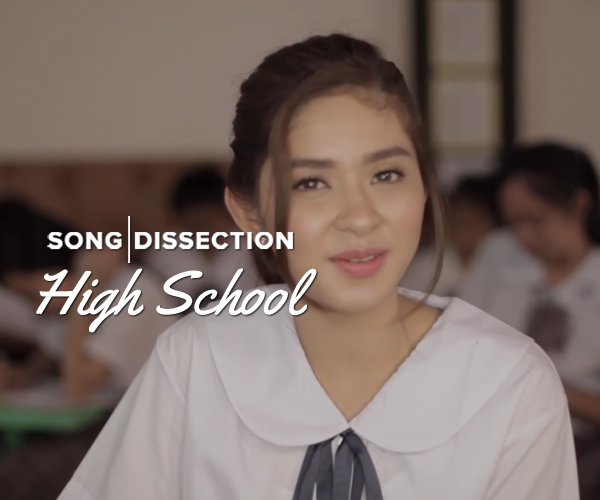 In regards to the song itself, the lyrics are completely the same, yet in spite of the absence of any difference, the two songs are vastly different, with Sharon’s voice being distinct from that of Loisa’s. The words are the same: speaking of the trials and tribulations of high school life, from missed homework, to first crushes, eventual heartbreaks, and the joy of being surrounded by friends. Though the song never attempted to paint high school as a piece of paradise nor did it attempt to color it negatively in any way, the song was nonetheless able to capture the emotion that many high schoolers feel: you’re never really sure whether to be happy or sad about a particular moment, but you know clearly that it’s worth remembering. The song is a timely release, despite the recent academic calendar shift: many high schools are still following the traditional calendar, ending their classes right before the summer season, and scheduling their students’ graduations in March or April. The song is a nostalgic reminder of how lovely our high school years were then, even until now. To all the graduates of 2017—however few you may be—congratulations, and may you always take comfort in the bittersweet memories and experiences of High School. They only happen once in a lifetime. What’s your favorite song by Loisa Andalio? Share it down in the comments below, or tweet them to me via @rafael_reynante! Raf rarely gets bored. However, when he does get bored, he works out his mind by dissecting the hidden and subtle meanings of songs. He enjoys philosophizing on pop songs, traveling the Metro in his hatchback, exercising constantly, and collecting leather bags. Kilig Adventures Await These Star Music Artists At Resorts World Sentosa Singapore! From "Jeepney Joyride" to "The Joyrides"